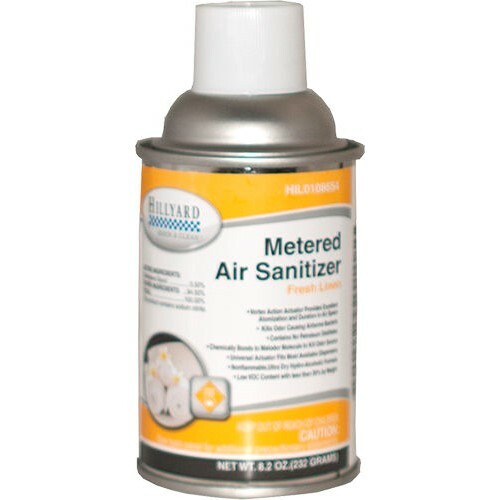 This product eliminates odors and odor causing bacteria from the air when used as directed. As an air sanitizer, this product effectively kills odor causing bacteria to cleanse the air you breathe. As a deodorant, the next generation odor counteractant system chemically bonds with the malodor molecule destroying the odor source instead of just covering up or masking. Excellent for control of even the toughest odors such as animal odors from veterinary clinics, kennels, litter boxes and pet waste disposal areas. Post-fire odors including cigar/cigarette smoke treatment as well as protein decomposition odors from garbage, fisheries, and other challenging sources are also effectively treated. Especially suited for use in public rooms, homes, bedrooms, living rooms, dining rooms, restrooms, bathrooms/ showers, pool or spa areas, pool houses, closets, basements, storage rooms, kitchens, cafeterias, schools, offices, hotels, casinos, hospitals, nursing homes, prisons, laundromats, theaters, auditoriums, railroad cars, heavy truck cabs, airplanes, RVs, campers, boats, cabins, beach houses, buses, taxicabs, sitting rooms, smoking rooms, game rooms, locker rooms, health clubs and fitness centers, factories, mills, department stores, grocery stores, and more. The advanced, low VOC chemistry is hydro-alcoholic with no petroleum distillates or hydrocarbon propellants. The ultra-dry spray has little fall out and is nonflammable. Frequent use will provide refreshed, pleasant air all day that is not just deodorized but also sanitized by reducing odor causing bacteria.